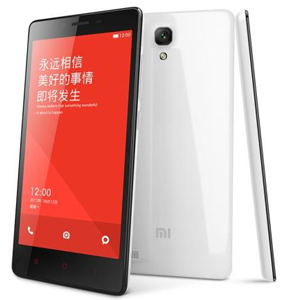 The Xiaomi Redmi 1S is a mid-range device, released by Chinese manufacturer Xiaomi in July 2014. It features a 4.7" 720p IPS LCD display, Snapdragon 400 chipset with quad-core 1.6GHz processor, 1GB of RAM and 8GB internal storage. It has an 8MP shooter with 1080 video capture capability, and is powered by a 2000mAh battery. As with all Xiaomi Android smartphone devices, the Xiaomi Redmi 1S runs Xiaomi's own user interface, MIUI, on top of Android 4.3 Jelly Bean.